Last Monday (February 25) the AB 340 Advisory working group presented their findings and recommendations for funding ACEs screening implementation, to the Assembly Budget Subcommittee No. 1 on Health and Human Services. ACEs was part of the conversation for several of the budget issue items, great news for those of us advocating for prevention and healing of trauma! In fact, State Public Health Officer Dr. Karen Smith mentioned ACEs in her State of the State’s Public Health address, which opened the meeting. ATTACHED to this post is the two-page description of the AB340 Budget recommendations, presented by John Bauters (Californians for Safety and Justice), Chair of the Advisory Working Group; and Jennifer Kent, Director of the Department of Health Care Services. 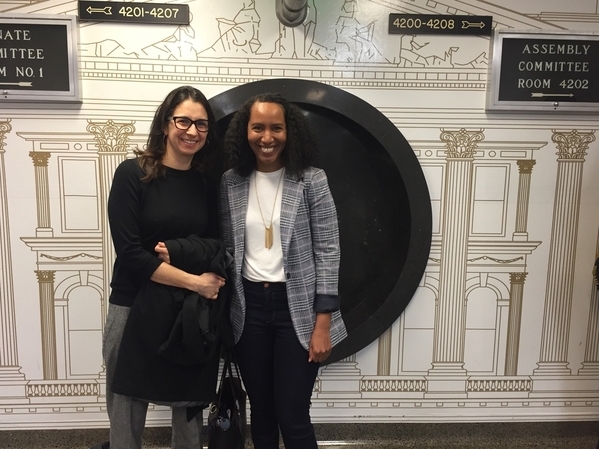 Center for Youth Wellness staff, Sara Marques and Afomeia Tesfai, who lead CYW’s California Campaign to Counter Child Adversity (4CA) initiative, each added public comment in support of these AB 340 recommendations. To recap (for detailed description, see attached recommendations) regarding ACEs screening, the advisory working group recommended three assessment options to offer Medi-Cal pediatric providers. These options included PEARLS, a screening tool developed by Bay Area Research Consortium; the Whole Child Assessment; or discretionary use of an alternative screening tool with DHCS approval. They also advised designating a “CPT” code to help monitor Medi-Cal provider usage of their chosen tool. Finally, they recommended funding provider training, and exploring the potential to add ACEs screening for adult populations. Click here to view the full agenda for the meeting, covering 13 issues in the Departments of Public Health and Health Care Services. 1) What efforts are being put in place to make sure that resources and supports exist for children and families who screen positive for trauma? 2) Are providers going to be trained in how to handle any trauma that gets raised during the screening process? 3) Is this only for the MediCal population? 4) Will insurance companies have access to the results of the screens? Will they have instructions about how this data can be used? 5) How will mandated reporting be handled with the ACEs screens?